On some occasions you may probably need to extract some files from an installation package or peep into the files of an installation package. Universal Extractor could be the right program to do the job for you. As the application name suggests, Universal Extractor is a useful program that can extract files from any type of achieve regardless of the source or the compression method. It can extract files from a simple compressed or zip file, an installation program or even an MSI installation package. 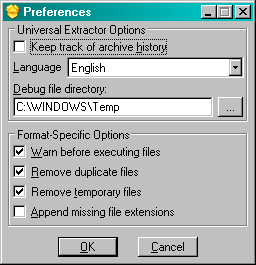 Universal Extractor is not an archiving tool. It can’t create a zip file or a rar file. This program is purely to assist users to extract files from a single location. Universal Extractor is deeply connected to the Windows Shell, so that users can extract all their files by simply right clicking on them and selecting the option that fits their needs best. Download the latest Universal Extractor via the link here.